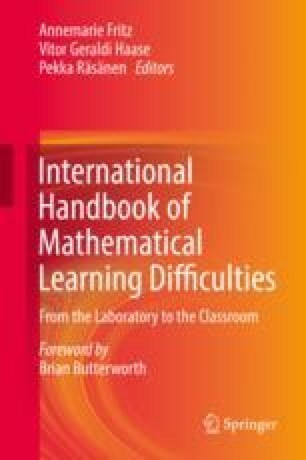 This chapter summarizes classical studies on numeracy development and highlights the impact of children’s own, self-initiated numerical activities in informal everyday situations on the learning trajectories toward an advanced number sense. Theories and empirical evidence of the role early exact and approximate magnitude processing, relational reasoning, counting, number sequence, and arithmetical skills play in the development of natural and rational number knowledge are described. Furthermore, studies on spontaneous focusing on numerosity (SFON) and spontaneous focusing on quantitative relations (SFOR) are described arguing that individual differences in self-initiated focusing on numerosity and quantitative relations explain some of the individual differences in children’s numerical development during the childhood years and primary school. Based on this literature review, we claim that it is important for formal mathematics education to early on take into account children’s own mathematically relevant activities in both formal and informal situations.